Other teams, like (GN), FA_, FD., vGi-, team INC), TS- have their team registered in the Team List but did not report in the confirmation thread yet. If they don't to until friday, the won't be considered for the league! This is to prevent too many inactive teams. Visit Gosugamers.net and read the new newspost about Motw Tour :D The tour is scheduled Sunday and will go on for the entire day i guess. Feels great that this actually is happening, since it shows that a little initiative really makes things happen! The MOTW 35 is (3)Dirz by Travin. It's a three player island map, something that we have not seen too often yet;) Gameplaywise it should play like a mix of Gorky Park and Neo Forbidden Zone. 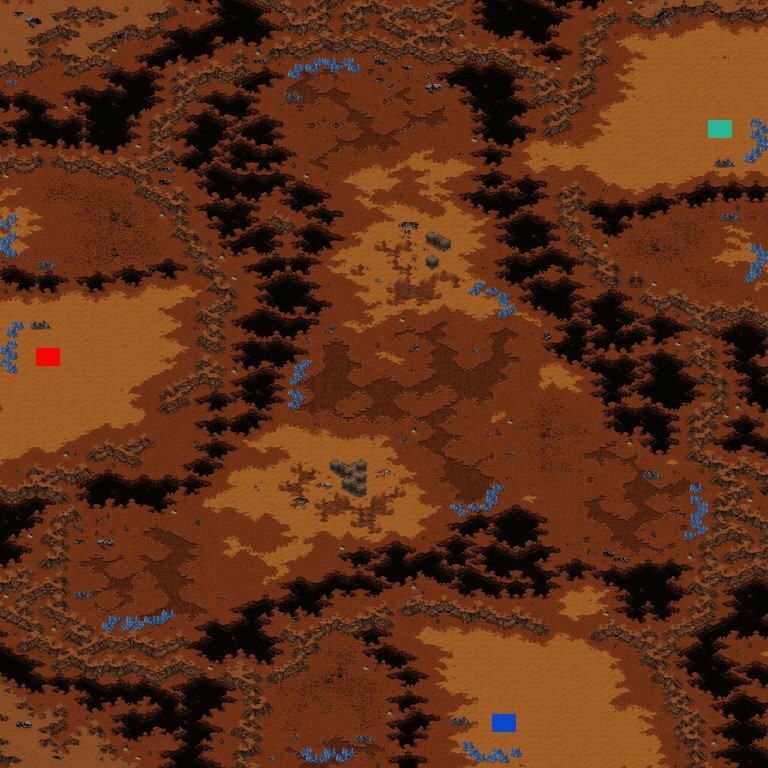 The minerals in the main are unusually low for an island map, so expanding is crucial, fortunatly the next expansion is close and easy to take. The solid gameplay and very beautiful design made it an easy pick for us. Dirz completes the mappack for the first gosugamers.net MOTW-tour, which I will upload in a few minutes. 2)The default date for the games is each Monday at 8PM CET, so 7PM greenwich. Of course it is possible to arrange another date with your opponent if you tell them you can't play at the normal date at least 48 hours before. If you don't inform him in time, the opponent has the right to post a default win. 3) The season will start Monday, September 5. 4) The channel for the league will be BWMN-1X (X being your division, for example BWMN-1A) on europe. To participate, the first thing you need to do is registering your clan/team. You do that here. Don't forget to put "http://" in front of your homepage url. You don't need a clan to participate, just a couple of players who are willing to play 2on2 with you. Clans are allowed to register as many squads as they want and can support, too. After you did that, please post in this thread to confirm your registration. I already did a league calles "onlytest" to test the scripts. The teams that are in this league should just try if the script works correctly, and please tell me if there are any problems or bugs. Thanks to all participants and to those who helped test them. The season will Start on Monday, 5. September. The tables will be made on Saturday, 3. September. All teams should already create a team-account , creating a team-account does not register to the league automatically though!